Omaha, Neb. 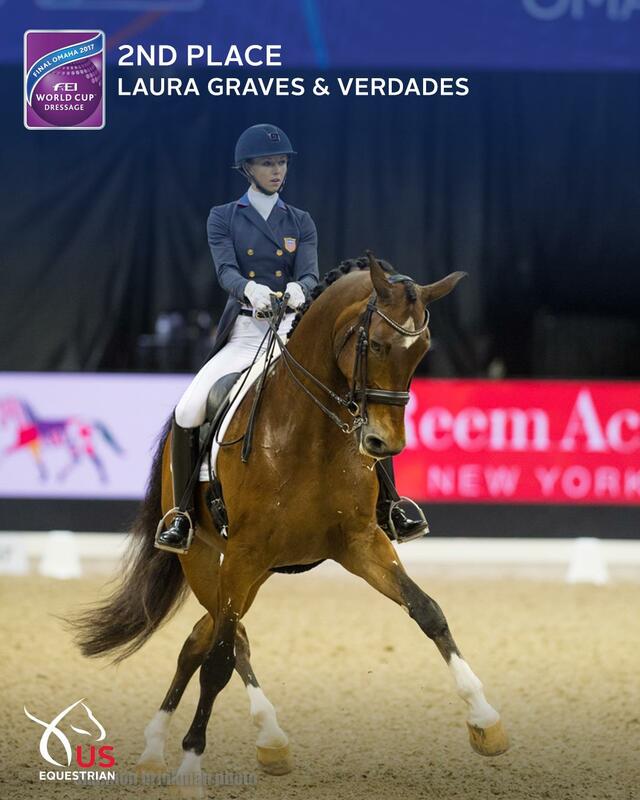 – Laura Graves and Verdades have finished second in the 2017 FEI World Cup™ Dressage Final with a score 85.307% in the FEI Grand Prix Freestyle. Verdades is a 2002 KWPN gelding owned by Graves. Isabell Werth (GER) & Weihegold OLD finished first and Carl Hester (GBR) & Nip Tuck finished third.